The Mercure Sheffield Parkway hotel in Rotherham has been awarded four stars following an audit by the Automobile Association (AA). With 78 bedrooms, the hotel is on the part of the Sheffield Business Park that is just inside the Rotherham border. Opened in 2008, the £5.7m hotel is the first Accor branded hotel in the Dominvs Hospitality portfolio. The rebranded and refurbished hotel met a number of criteria in order to achieve the AA's prestigious Four Star rating, which include ensuring an enhanced service and experience for guests, superior building fixtures and maintenance, high levels of customer care with unobtrusive, polite and courteous staff providing a very good standard of care and showing good knowledge in products and services provided. The contemporary mid-market hotel also offers the Foundry restaurant, lobby lounge, conference and event facilities. The idea to convert and rebrand the hotel was initially devised by Dominvs Group in 2014 following the great success of previous rebrand projects taking place at its Darlington and Dumfries hotels. It joined a network of over 74 Mercure hotels in the UK and over 725 Mercure hotels worldwide. Sean Brookes, chief operating officer at Dominvs Hospitality, said: "This is tremendous news and pays tribute to the hard work and dedication from the whole team. The hotel continues to go from strength to strength to deliver high standards of comfort and service for our guests." 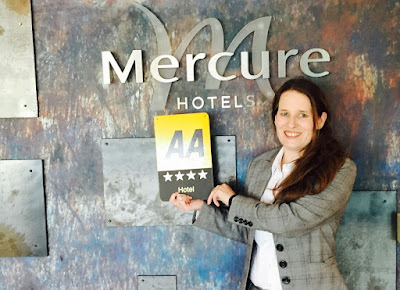 Andrea Hippsley, general manager of the Mercure Sheffield Parkway Hotel, added: "The team and I are extremely proud to receive the official recognition for our efforts in hospitality and customer service and are thrilled to have achieved Four Star status."